Kids are full of creativity and imagination, and with a chalkboard wall, they can express their creativity and unleash their imagination 24/7. 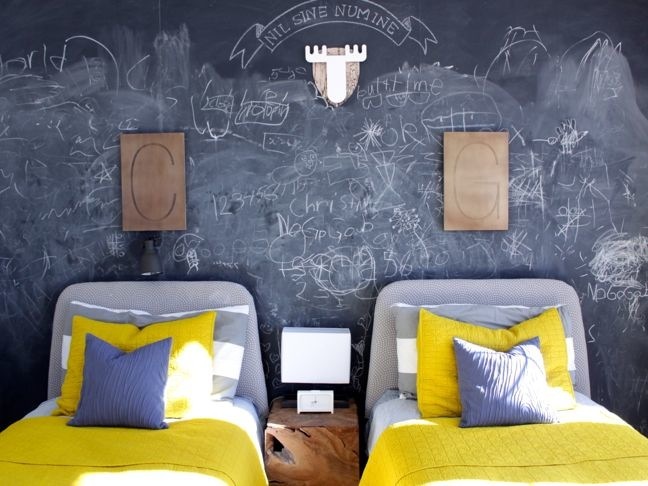 Amy, mom of three beautiful children and designer at Design Lotus, created a DIY chalkboard wall for her young kiddos. 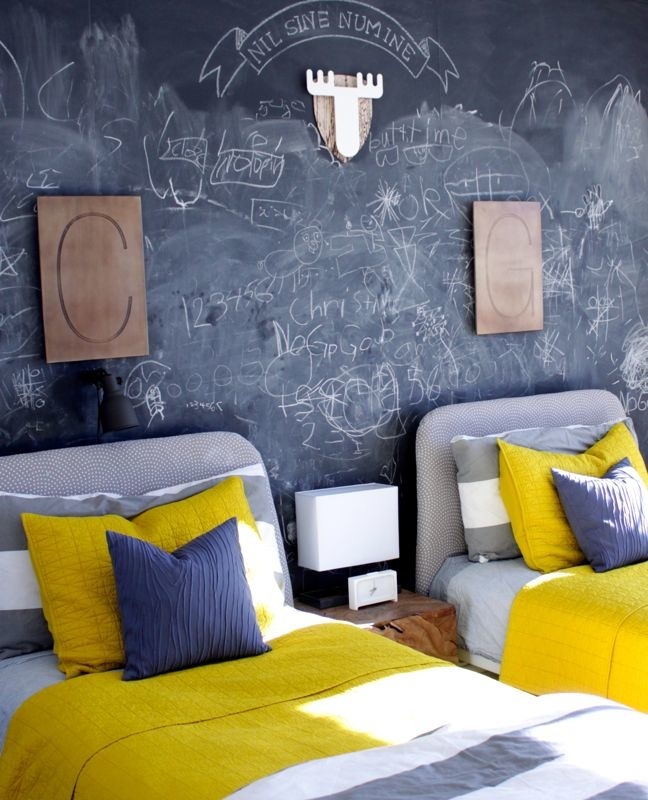 The “bed wall” is painted entirely with chalkboard-painted plywood, the beds are covered in bright yellow comforters and blue & white solid and striped pillows, and the room is accessorized with unique finds. I loved her room so much, it’s inspiring me to put a chalkboard wall in my kid’s room, and made me think…every child should have a chalkboard wall (or at least a board). Kids can express their creativity 24/7. Sometimes our emotions, words, and thoughts can only be expressed on paper, or in this case, chalk. Armed with a piece of chalk, children can explore the craft and talent of their own two hands, and express their wild imaginations. It’s ever-evolving, meaningful, and cheap artwork for parents. If you’re like me, I have piles of my kids’ artwork…and the pile is growing. With a chalkboard wall, their art is on the wall (not in a pile on your desk), and if you want to “keep” what they draw, take a photo of the wall and keep a book with photos of their chalk art. 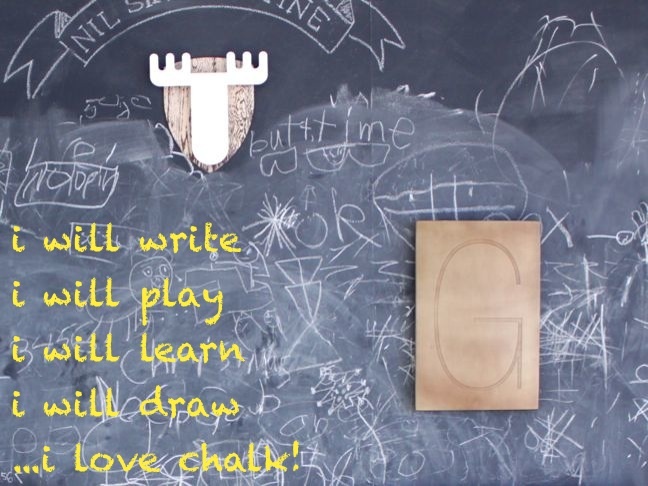 Playing “school” just got that much easier with a chalkboard wall. A favorite activity of my kids’ is to pretend they are teachers in a classroom. They use the same words and mannerisms as their teachers in school. With a chalkboard wall, it’s like the real thing. No other props needed. You can learn about the world and keep track of all your travels. With a little time, you can create a map of the U.S. or the world, and mark all your travels or circle the places you want to visit. It’s a great way to introduce your children to the world. It can make be made into a daily chore chart. Instead of wasting paper on chore charts, create a daily checklist on the wall (with words or photos), and once the chores are complete, kids can proudly check them off. It’s a great space to leave your child love notes. Saying I love you just got easier. 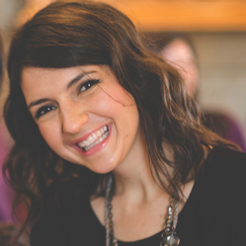 Leave your child sweet notes or words of inspiration. It can be the first thing they see in the morning and the last thing they see at night before they go to sleep. Bedtime stories just got way better. Imagine being able to illustrate bedtime stories or sweet photos for your kids to look at before they go to sleep at night. Your children can create their own world/city. Let your child(ren) draw buildings, homes, animals, boats, castles, etc. and live in the “world” they want. It’s the ultimate play date too. It can be a cool study tool. Kids can practice vocabulary. Maybe little Johnny has a test about human anatomy coming up—draw the human body and its parts, and leave it up for the week. Hello Pictionary. 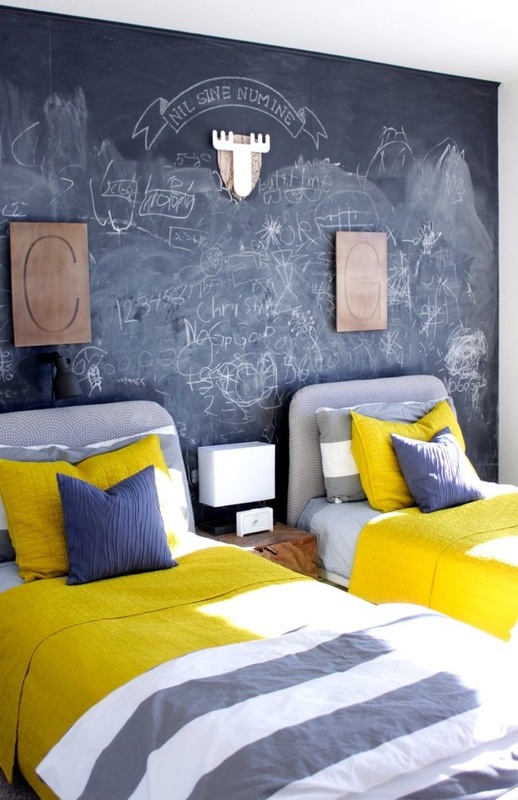 You can have the ultimate game night with a chalkboard wall. Have friends over and bring your Pictionary game to a whole new level with an entire wall to draw clues for your team. Amy’s walls are textured, so to save time and money (she would have had to skim coat the walls to make them smooth, which is dusty and permanent), she opted to use chalkboard paint on plywood. Thus, the chalkboard wall is easier to take down during a move, or if you get tired of it. You can find some of the other adorable details in the room below. Letters are from Crate and Barrel. You can find them here. Antlers and yellow bedding are from Target. Amy painted the moose white. Duvet covers are from West Elm.